Home / Automotive / News / The Post Apocalypse Looks Interesting Indeed! A distant post-apocalyptic future where Mad Max and Techno Tokyo embrace. 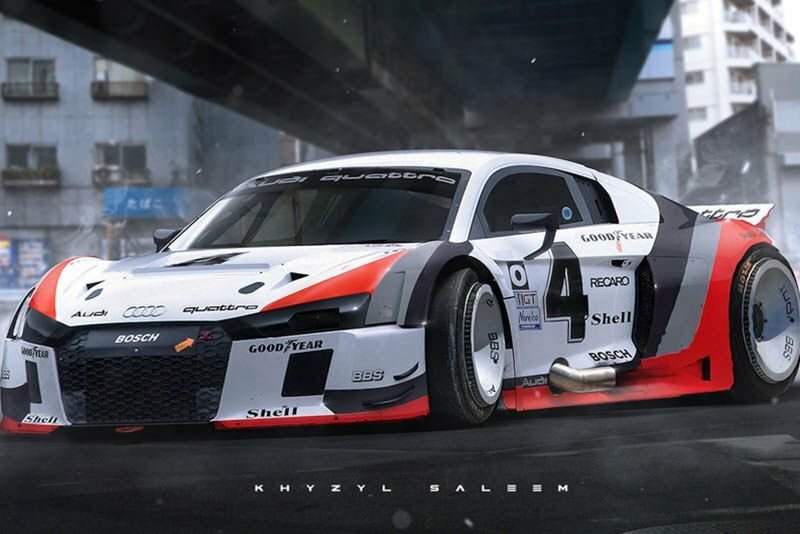 Meet the digital genius behind Need for Speed, Kyzyl Saleem, a 22-year concept artist working for EA’s Ghost Games Studio works, who creates bizarre but fascinating depictions of what we are still yet to see in the world of cars. Salem might be in 2050 while we are still in 2017 but a world filled with such creative metal machines, wheel-spinning around the earth, could possibly not just be in a game. Maybe it's wishful thinking to hope that one day, you or I could be blasting around in these fantastic beasts. I mean, just look at them! Saleem has a brilliant mind for such eye-catching, beastly car bodies. Such is the mind of Akira, who has agreed to let Salem use his cars on the game with a bit more digital modifications. Most of his concepts originate from stock images and found photography, his cars are rearranged and restructured to suit his vision. Imagination takes over and we all just sit here, waiting for these creations come to life. “Lighting plays an equal role, with both the cars and the scenes emitting a radiant and polychromatic ambience. LED, laser, and fibre-optic lighting are all infused into Khyzyl's creations, with their faux neon glow reflecting across the components he's implemented. His environments do the same, with an eerie fog that penetrates and intrudes, heightened by the damage strewn across each car's body lines. It begs the question: what have these cars been through?” exclaims Stance Works. Take a look at Saleem's process in the video below, it's inspiring!